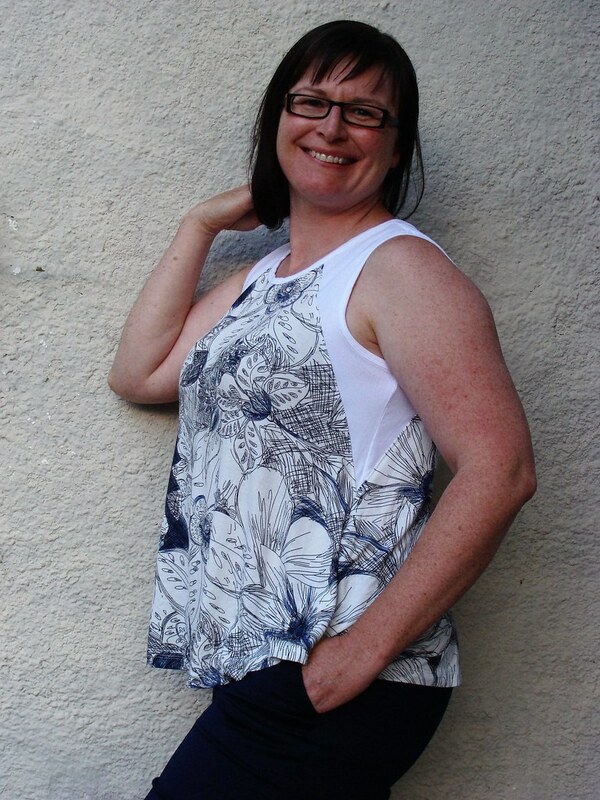 A quick post, mostly photos, to show off my first make of the Santa Fe Top by Hey June. I was in love with this pattern the minute it came out and snapped it up instantly. I sewed this up at the end of June and have worn it numerous times since. 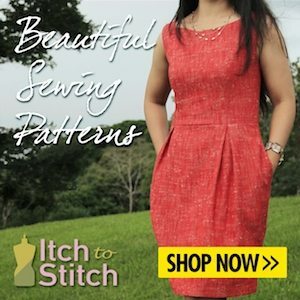 The loose flowing shape is breezy and comfortable, perfect for the hot days of summer. This is the view E version of the pattern, made with some lovely abstract print rayon jersey I got from Unique Textile Studio in Saskatoon, SK during a weekend trip. I call it “Scribbled Flowers” but have no idea what it’s actual name is. Very glad to have discovered the Unique Textile Studio, I came away with a few materials I’m unable to find closer to home. I also got a beautiful pale blue linen knit which I’m not certain what to use for just yet. The Santa Fe is a strong contender, especially seeing the beautiful linen Santa Fe Gillian made. 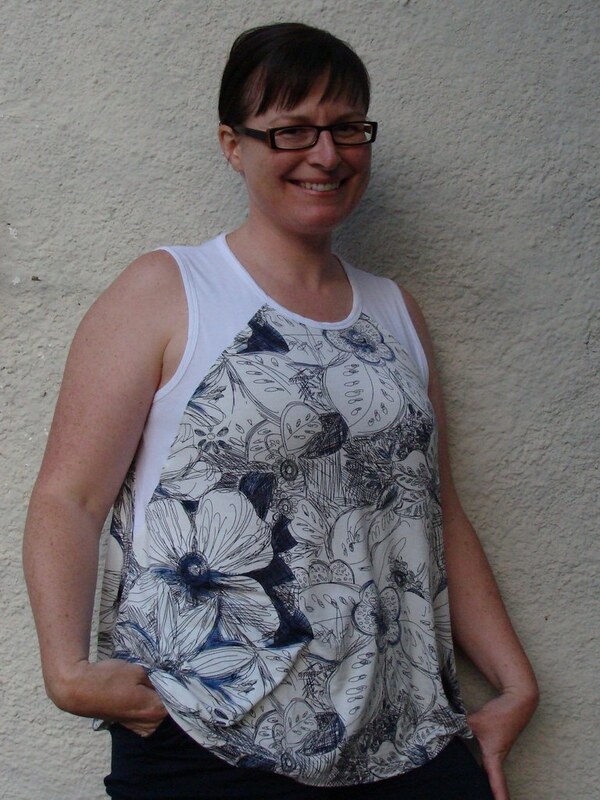 Even if my linen knit does not become another Santa Fe I want at least 2 more of these perfect swingy tops! The pattern was quick and easy to sew with the trickiest parts being the binding and making sure my points lined up on the side seams. I machine based the points in place before sewing the entire side seam with my serger. Very pleased with how they turned out! 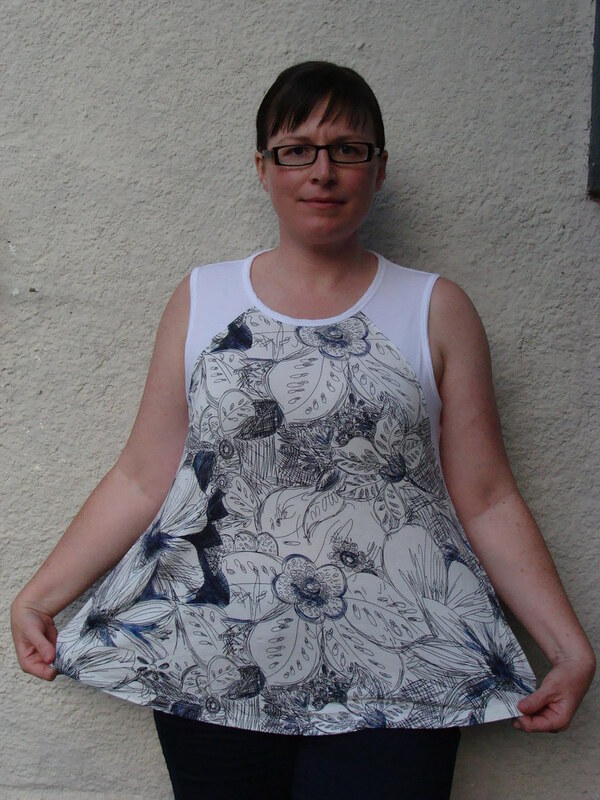 This top is mostly sewn on my serger though I did topstitching the side panels seams using my sewing machine, with a walking foot to avoid wavey seams. 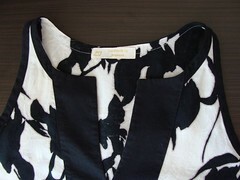 I used the coverstitch setting of my serger to hem and stitch down the binding. My binding are slightly differently than the instructions. 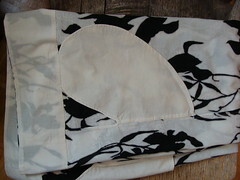 I serged the binding piece onto the top with right sides together then folded around the seam towards the back and coverstitched down. I’m starting to get better at working with the coverstitch settings now. 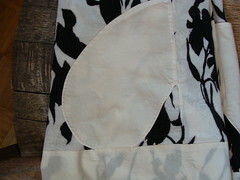 It seems helpful to use a bit of tissue paper underneath to get started or go over the bumps of intersecting seams. The one thing I am not 100% happy with it my pattern placement. Despite actually considering this in advance I misjudged where my bust apex would be on the front piece and only narrowly missed some terrible flower placement. I’m sure you see what I mean. I wonder if people who don’t sew actually notice these things? Not much else to say at the moment. 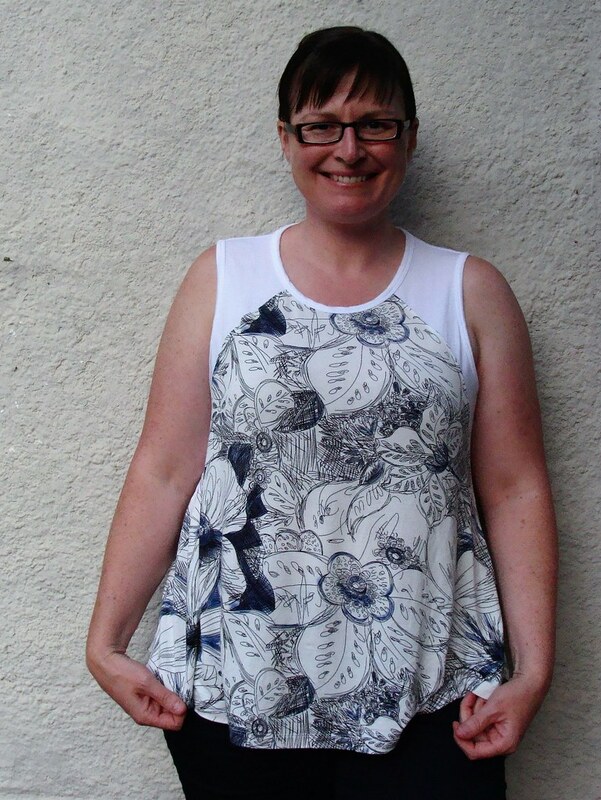 I love this top and, like the previous Hey June pattern I’ve used, the pattern and instructions were great. Since this pattern has 6, yes six, views I’m holding off on a rating until I try a couple more. I expect this to be soon since I’d really like a view D and F. I’m intrigued by the color blocking potential of views A-C but don’t have any material combinations inspiring me for those at the moment. The pattern indicates it is for knits only but I’d really like to see if I could use it with a drapey woven rayon. 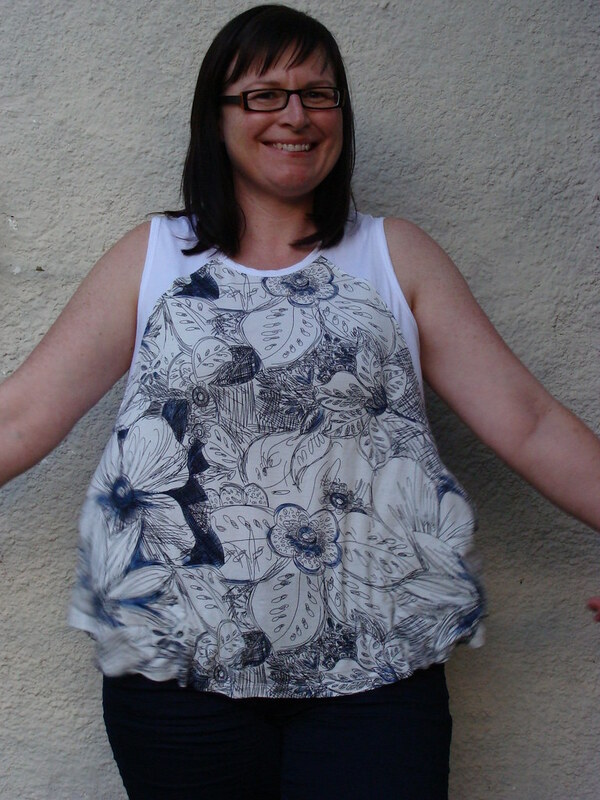 I chose the size Medium although my measurements for bust would have indicated a size Large. I thought the shoulders would fit better in the Medium (chosen by high bust measurement) and did not do an FBA given the final garment measurement and stretch of my material. I’m very happy with the fit of this size M with no other adjustments. It’s so cute! That print is great, and I agree that medium was the right size to chose! Thanks Gillian! This print is fantastic, there was no way I could resist buying it! I wouldn’t be able to resist that print either — it’s fabulous. 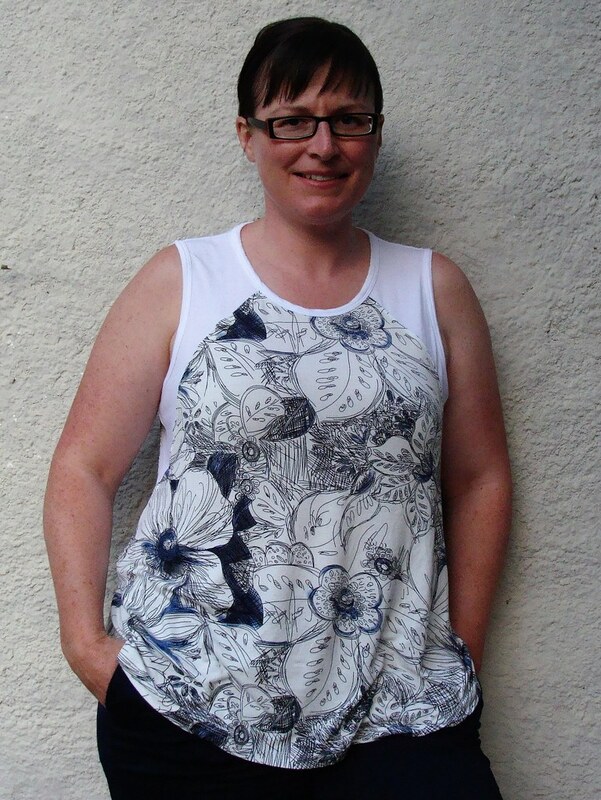 I’ve made a couple Santa Fe tops, and while I find them super comfy and wear them a lot, I don’t think it’s a very flattering top for me. It looks terrific on you, and I’m quite envious :D! Thank you! I was actually surprised how flattering this shape was for me. I’m quite curious to see how the dolman sleeves will look as that style has never worked for me in RTW. 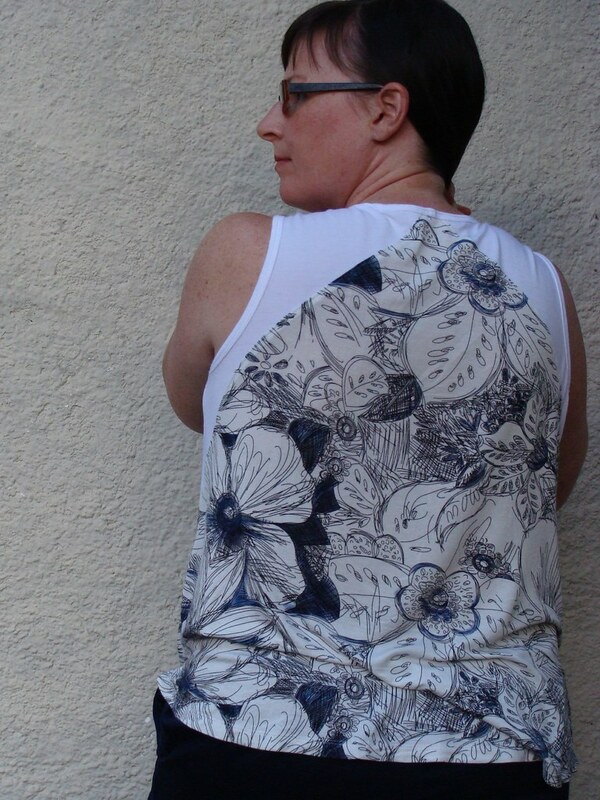 I’m finding some unexpected styles working for me in me-mades where I can adjust fit for smaller shoulders, etc. 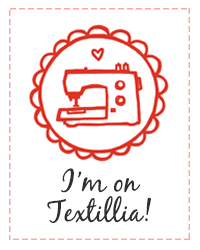 Sewing for the win!